There are times when a chorus of 50+ singers is just too big for a smaller, more intimate venue! As all our members really enjoy singing and performing, some have joined together to form quartets and small groups affiliated with Fascinating Rhythm which means you can book a smaller group to fit your requirements. It also means we can give variety to any show by offering a wider musical programme alongside our full chorus. – a female a cappella group based in South Gloucestershire consisting of 13 voices. 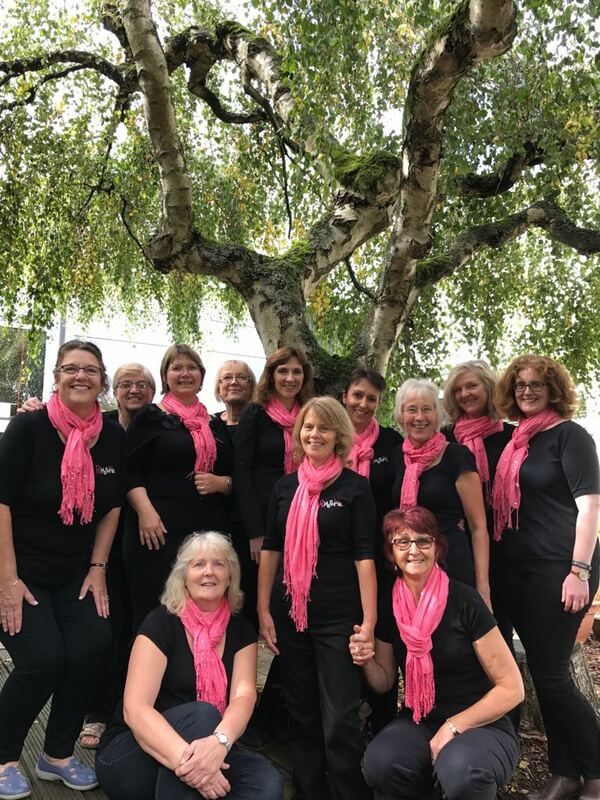 They love singing in four part harmony, entertaining audiences at all kinds of venues including concerts, social evenings, charity events and festivals. Their repertoire covers a wide variety of styles including pop songs, ballads to easy beats. All the singers in RhythmMix are also members of Fascinating Rhythm, and they often represent the chorus when a venue is unable to accommodate over 50 singers on stage! For more information for RhythmMix (and Fascinating Rhythm) please contact Jan on Tel: 01453 843658.